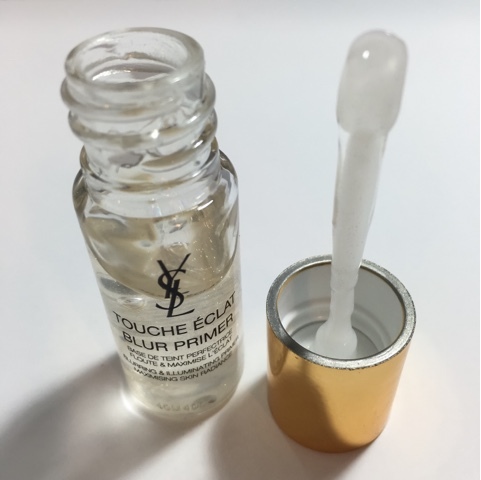 [Review] YSL Touche Éclat Blur Primer ~ Hey, it's Cristine. 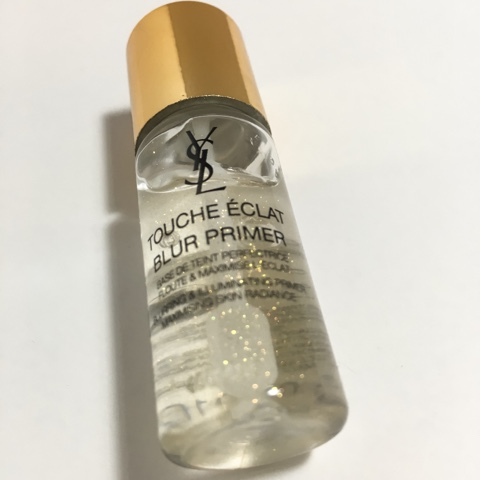 From YSL's website*: "The first radiance boosting foundation primer that combines the light of Touche Éclat and the perfecting effect of blur. Formulated with 4 nourishing oils, skin is left incredibly soft without greasy residue. Immediately the look of skin is improved: pores look diminished, skin texture feels smoother, skin tone looks more even and luminous. Free of dulling opaque fillers, the transparent texture is available in one universal shade with subtle sparkles of golden light for maximum luminosity. Suitable for all skin tones, including sensitive. Non-Comedogenic." Here's where this product and I start to get into a bit of a tussle. First off, the radiance from this product is basically nonexistent. At most, it creates a very soft sheen, but not really enough to be seen under foundation. The gold flecks in this primer are very tiny, so not something that would make you look like a disco ball or have people wondering why you have gold glitter all over your face, which is nice. It does smooth the skin slightly in both appearance and texture, but there are many primers on the market that create a stronger blurring effect for far less money, Benefit's Porefessional, L'Oreal's Magic Perfecting Base, and Maybelline's Baby Skin just to name a few. As for the texture of this product, it's a slippery gel that's very heavy on the silicone feel. 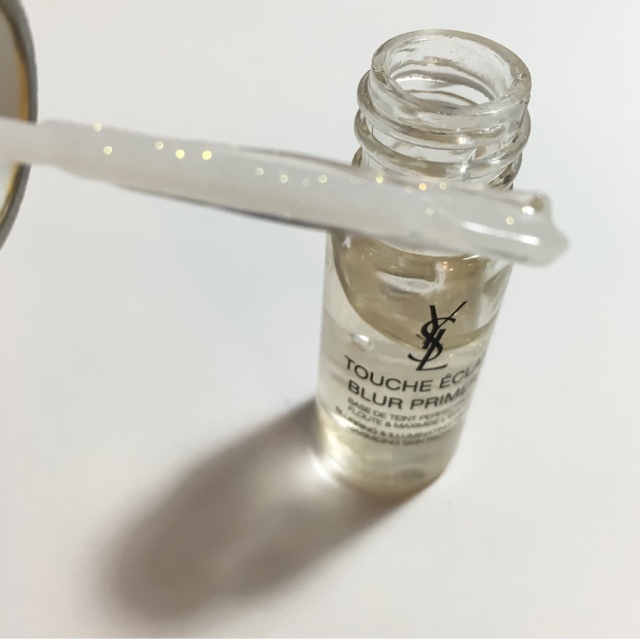 While YSL claims it has no greasy residue, it does have a slick feeling that's common in many silicone-based products. To many people, including myself, this can feel like having a layer of oil on the skin, so if that's something that normally bothers you or you have oily skin, you probably won't like the feel of this primer. As for the ingredients, the oil blend that YSL mentions is a combination of corn oil, apricot kernel oil, rice bran oil, and passiflora edulis seed oil (passion fruit), also known as maracuja oil. These ingredients have several purposes, but they're used here as skin conditioners and occlusive agents, which help the skin to retain moisture by creating a protective barrier over the skin. This product also contains fragrance, which may make it unsuitable for sensitive skin. It's a light, fresh, sweet scent, not overly perfume-y. It's the same scent that's used in the YSL Volume Effet Faux Cils mascara, if you're familiar with that. Other than that, the ingredients are all forms of silicone or ingredients to control the viscosity of the formula, none of which are worrisome. Even without the potential acne triggers, I wouldn't recommend this primer. 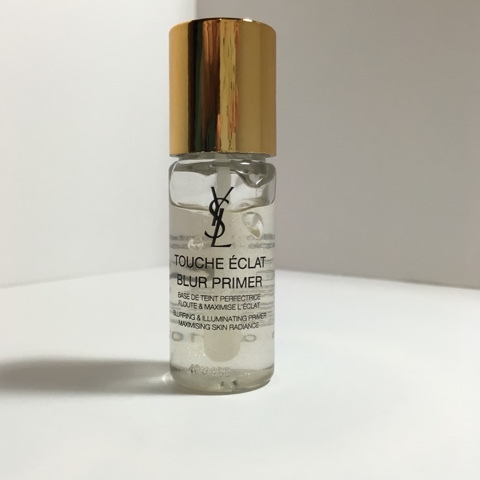 There's nothing special about it to set it apart from less expensive primers, unless you count the fact that it doesn't perform as well as other primers that cost a fraction of the price.